Mad Science kids birthday parties in Orange County entertain children of all ages with exciting, high-energy, interactive shows that come to you. 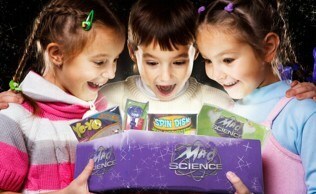 You will see why Mad Science is one of the most exciting birthday party themes! Discover electricity as it travels through the body and makes your hair stand on end! Watch as dry ice makes an eerie fog and doesn't melt! See in wonder as a rocket flies 40 feet into the air! Children also have the opportunity to make long and stretchy Mad Science putty, slime. Parents will love the fact that Mad Science birthday parties are mess-free and hassle-free. Best of all, we provide a satisfaction guarantee! 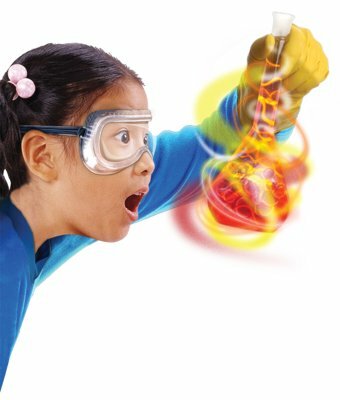 Mad Science is an easy addition to your Orange County kids party. Mad Science Parties are not just for birthdays! We have fun birthday party ideas for girls and boys! Themes and activities for all occasions! Call or email us for more information! Holidays (Great entertainment for the kids! ): Halloween, Christmas, Hanukkah, Kwanzaa, Easter.. you name it we can create a theme for you! Celebrations: Summer fun! End of the school year! Awesome report card! Company Parties: Make your next company party a family affair! Employees and their children will be entertained! *Have a fun theme in mind you don't see here? 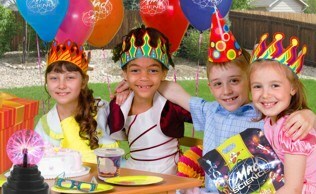 Call us and we can create a party just for you! Excellent! The "Mad Scientist" who came to my daughter's birthday was terrific, and made the science experiments so much fun for everyone watching (adults as well). I would recommend this company to anyone who is looking for something interesting and engaging for a child's birthday, better than any reptile zoo or bounce house, this is exciting, intelligent, and the kids loved it! My son thinks everything is "BORING" right now, but the camp actually had him excited. Thanks for a great program, we have just signed up for next week as well!